What's up world? I know it's been a while since my last blog but don't worry, I didn't forget about you guys! But since it's been so long there's lots to catch you up on, so let's get to it. German League: We're currently sitting in fourth place in the league, though that can be a bit deceiving. We've played two fewer games than just about every other team in the league, so it's tough to compare records, but I'm really happy with where we're at. Other than Bayern Munich, who has clear command of first place, there's a really tight battle for places two through five. That means that every game is a must-win if we want to finish as high up in the standings as possible. These last two months of the season should be a battle to the very end, and as a competitor, there's nothing better you can ask for. You gotta bring it every night! "It's going to be a close series for sure." German Cup: Like all the domestic leagues, the German League has a mid-season cup (Pokal in German) that teams are competing for to try and bring home a title and some hardware. The past couple of years the format was basically a draw for quarterfinal match-ups, then the winners all advancing to the Final Four in a host city. This year they decided to change it up and have 16 teams (excluding the two newly promoted teams) where each round there is a new draw for match-ups and one of the two teams hosting the game. After getting a home match-up (and victory) against Bayreuth, we then ended up having to play the next three games all on the road. Those three games were the quarterfinal in Munich, semifinal in Frankfurt, and finally the cup final in Bamberg. While we showed some major "road dog" mentality in all three games, our luck ran out in the final as we lost on a three-pointer in the closing seconds after a gutsy comeback. It was really tough to not be able to deliver that trophy to our fans, who have been amazing all year, but hopefully we'll get to bring home a title for them soon. 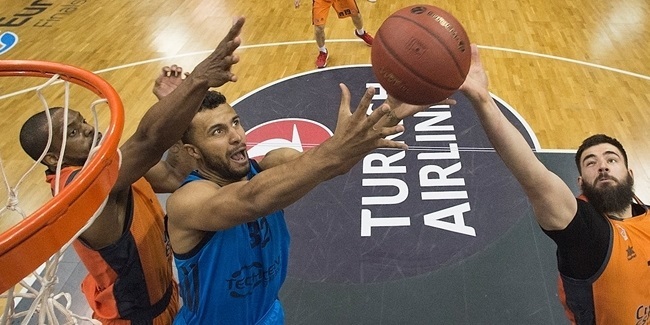 7DAYS EuroCup: Our EuroCup season has been great so far. We ended up finishing second in our regular season group to Lokomotiv Kuban, but we were then able to secure first place in our Top 16 group. 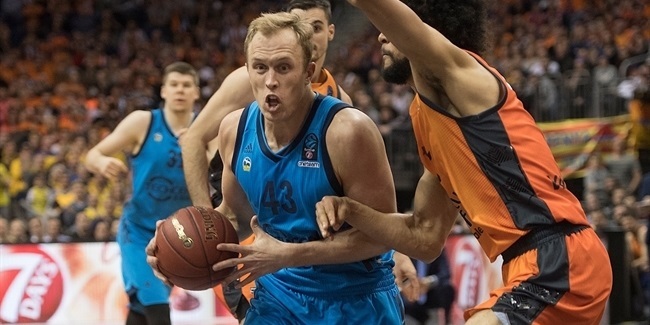 After not advancing to the playoffs last year in the Eurocup, it was a huge step forward for our team to be able lock up home-court advantage in our quarterfinal match-up. In a three-game series, that extra game at home can be a huge advantage, especially against a team like Unicaja Malaga (our quarterfinal opponent). They have a very deep and talented team and a lot of guys who can fill it up. We're gonna have to bring our best defensive effort to try and slow them down and then play good team offense on the other end. It's going to be a close series for sure, and I think the fans on both sides are going to enjoy some high-scoring games and a lot of up-and-down action! Injuries: As always happens during a season, we have had some guys go down with injuries. While almost everyone has made it back to full health, unfortunately we lost Stefan Peno for the season with a dislocated knee. Stefan is our 21-going-on-41 year-old point guard who has been a constant motor for us these past two seasons. It was a huge bummer when we heard we weren't going to have his play-making and "old guy hoopin' at the YMCA" post-up game back for the rest of the year, but it has just added fuel to our fire to try and bring a title home this year. To show some support for Stef, our captain and amateur fashion designer Niels Giffey made us some warm-up shirts to rock for our first home game after Stefan's injury (which you can see in the picture below). Well, folks, I think that about does it for this edition! I hope all is well with you guys, my favorite hoop fans/blog readers, and we'll see you next time!